On our drive from Monterey to L.A., my initial plan was to take the Coast Highway all-the-way-down. Think of it, the breath-taking scenery of the glistening ocean with the sea breeze in our faces. Wait, think of it - 2 bored-out-of-their-mind kiddies complaining about being hungry and the incessant cries of "are we there yet?". Yes, that was enough to change my mind and we proceeded to head down the 101 pronto. 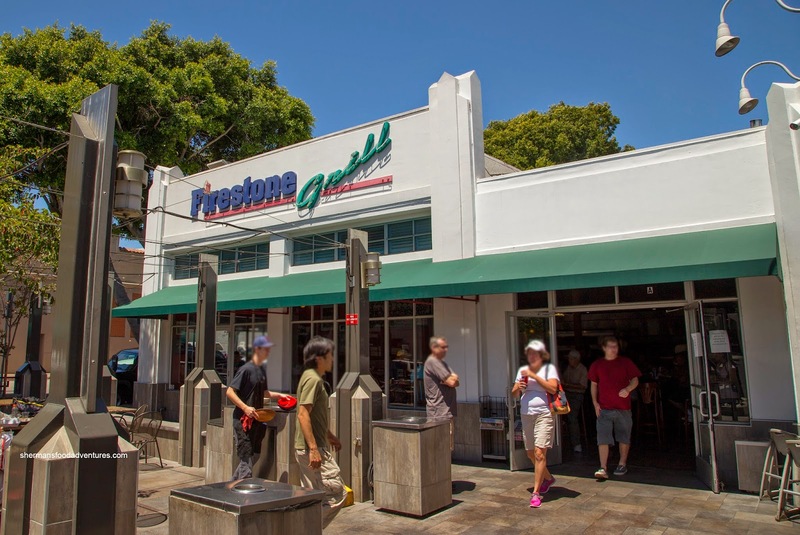 Of course we did have to stop for lunch and that happened to be at the Firestone Grill in San Luis Obispo. This counter-service joint was packed to the brim as we arrived with a lineup well out-the-door. As we moved closer and closer to the till, it was pretty apparent why - inexpensive and large portions. 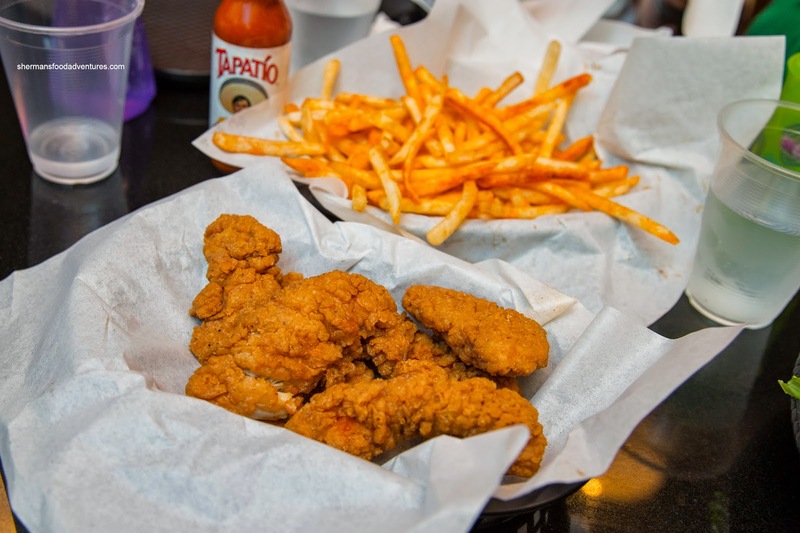 That was pretty evident with the basket of Chicken Strips with a side of Fries. Being a grazer, my daughter had as much of chance at finishing that amount of food as Ben Affleck could pass as a superhero. The strips were good though with moist white meat encased in a crunchy batter. The skinny fries were also crispy and surprisingly light for a fried item. My son had the Kid's Cheeseburger and it could easily pass for a regular one. 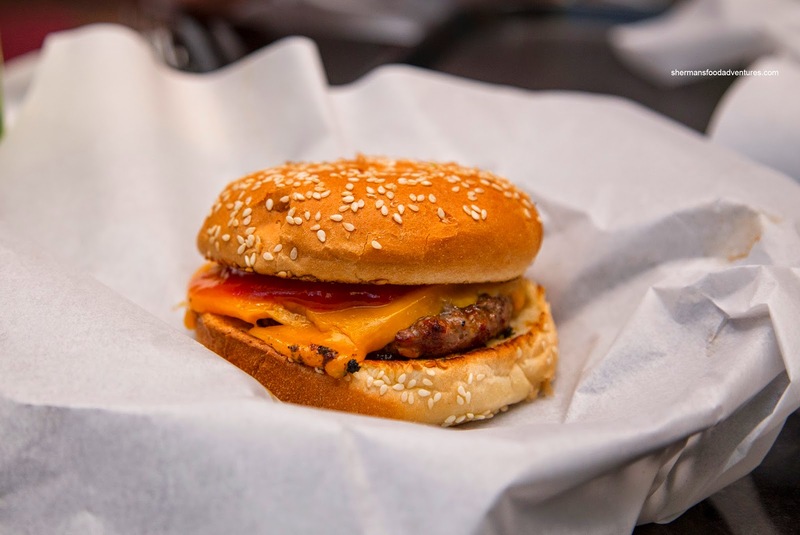 The beef patty was large and not too dry with a good smoky char. The thick slice of cheese didn't hurt matters either. For myself, I had the Pork Rib Meal with garlic bread and salad. The 7 meaty ribs were tender while not exactly fall-off-the-bone. There was a smoky char on the outside while the BBQ sauce was definitely sweeter than tangy. This was a whole lot of meat for $13.89. 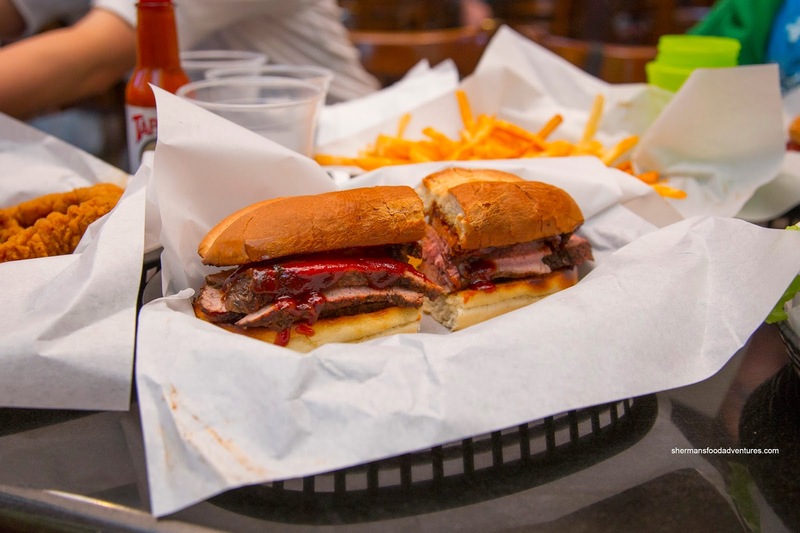 Viv ended up with the Tri-Tip Steak Sandwich which featured enough meat for another. Lean and easy-to-chew, the meat was doused in just enough sauce that didn't hide the natural flavours. This was a very filling and satisfying. As you can see, the food at Firestone Grill is neither complicated nor inventive. 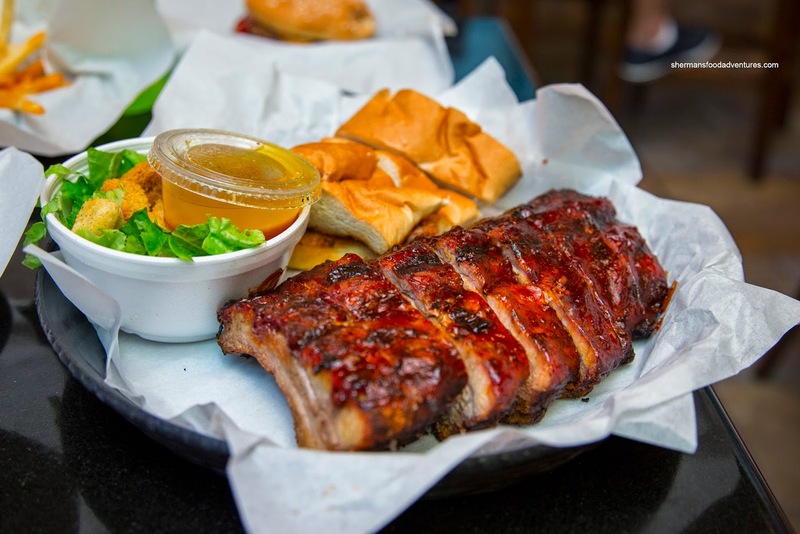 Rather, the food is straight-forward and well-prepared in large portions at a reasonable price - perfect for families and those needing to grab a bite.